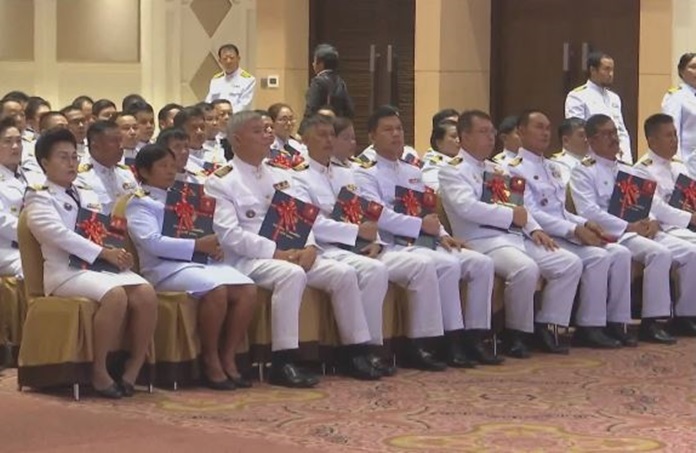 Bangkok – Exemplary chiefs of villages and tambons on Friday received plaques of honor for their outstanding roles in the development of their communities. The Ministry of the Interior led by its deputy minister, Suthi Makboon, hosted an awards ceremony to honor 264 village headmen and tambon chiefs for their sacrifices and commitment to improving the lives of their community members. According to the deputy minister, these exemplary individuals have been working closely with local governments under the Pracharat initiative to implement government policies and projects as well as educate the public on various matters. In Thailand, villages and communities first started electing their leaders on August 10, 1892, which led to the declaration of August 10 as Thai Tambon Chief and Village Headman’s Day, in honor of HM King Rama V of the House of Chakri.